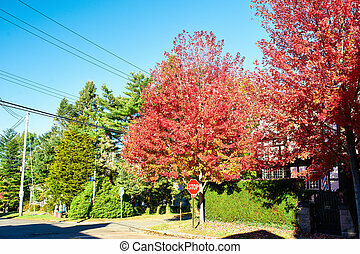 Residential neighborhood in autumn. 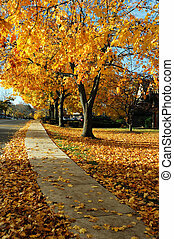 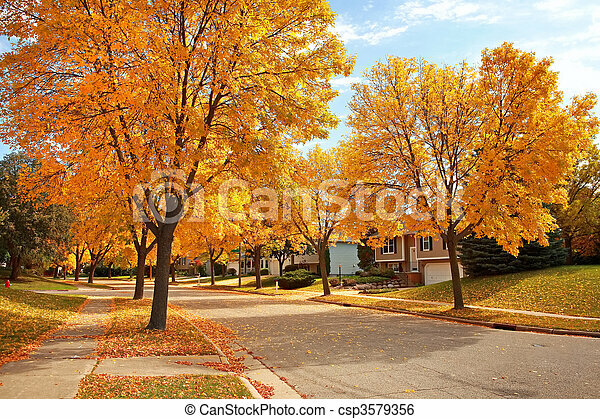 Residential street in fall with golden colors and falling leaves. 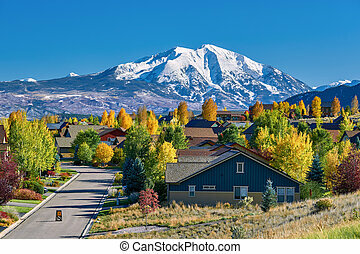 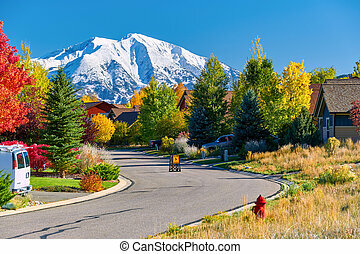 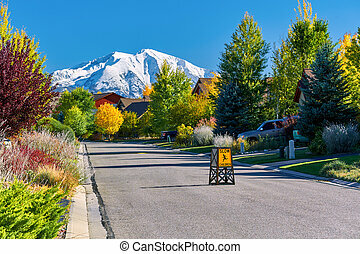 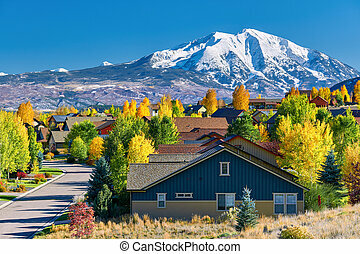 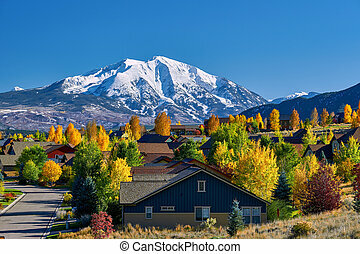 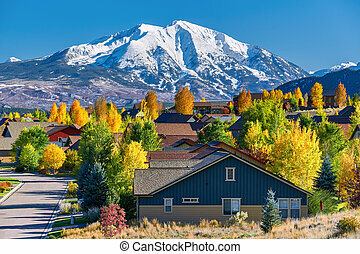 Residential neighborhood in Colorado at autumn, USA. 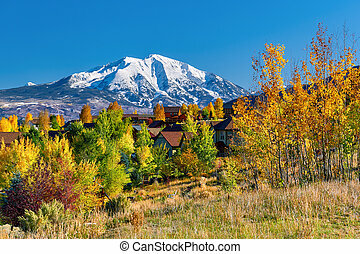 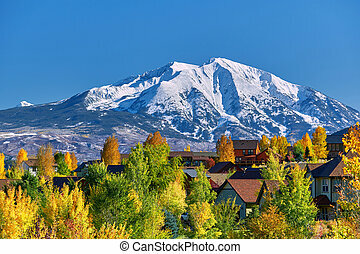 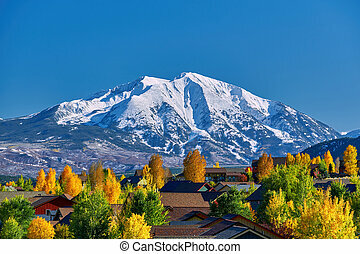 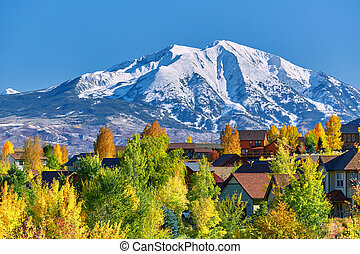 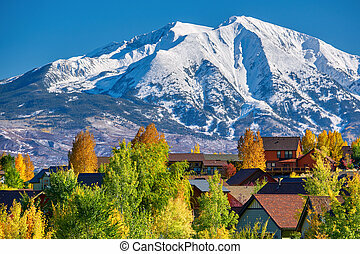 Mount Sopris landscape. 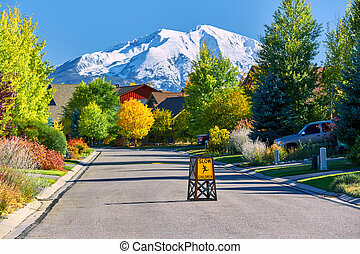 Slow children at play street sign at residential neighborhood in Colorado at autumn, USA. 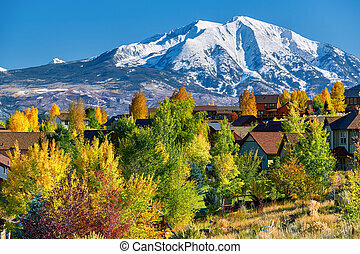 Mount Sopris landscape.